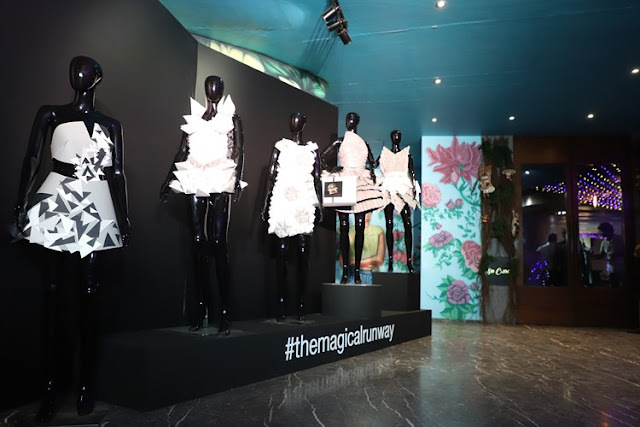 Home / Fashion / The Iconic Blenders Pride Magical Nights Brought Young Talent at The Forefront with An Evening Full of Fashion and Style! The Iconic Blenders Pride Magical Nights Brought Young Talent at The Forefront with An Evening Full of Fashion and Style! Blenders Pride Magical Nights, a registered fashion property of Pernod Ricard India, hosted a successful evening at Su Casa in Mumbai. The Magical Runway is an initiative by blenders pride magical nights for young designers to get mentored and showcase their talent! The evening saw a young group of designers showcasing their collection to a Jury consisting of industry veterans like Actress and Singer Sophie Choudry, Singer Monica Dogra, Designers Shruti Sancheti, Gavin Miguel, Rina Dhaka, Celebrity Stylist Mohit Rai and Choreographer Vahbiz Mehta. The evening began with a fashion show where models were seen donning the latest collection by all the young designers. The pre-function area was full of designer artworks and creative walls. The style anchor zone saw some enthusiast people sharing their style statement and appreciation of the grand setup. One of the walls which had a mix-match of photo frames with creative props had the audience awestruck. The evening saw the fashion industry’s creme-de-la-creme at the event which recognizes new and upcoming talent while celebrating the best of India’s happening fashion scene! Blenders Pride Magical Nights encourages people to discover their own style quotient. The night brought alive the essence of Modern India through multiple reflections of style, with an eclectic mix of the most stylish in fashion, music, and Bollywood. The designers shortlisted at Blenders Pride Magical Nights will get a chance to showcase along with well-known designer duo Gauri and Nainika. The Finalists will get to showcase their collection in February and March 2019 in Nagpur, Bangalore, Indore, Jaipur and Goa, 1 show per designer. Each finalist will have a personal mentor as per region, out of Nikhil Thampi, Shruti Sancheti, Candice Pinto, Ken Ferns, etc. The iconic, Blenders Pride Magical Nights has brought a fresh take to style every year! And 2019 plans to be bigger and better!